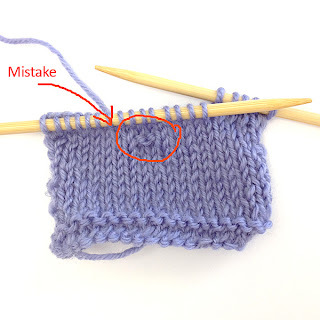 knitca: How to fix knitting mistakes - To tink or to frog? How to fix knitting mistakes - To tink or to frog? Let's confess - we all make mistakes. What is different for each of us is the way we treat and fix our mistakes. 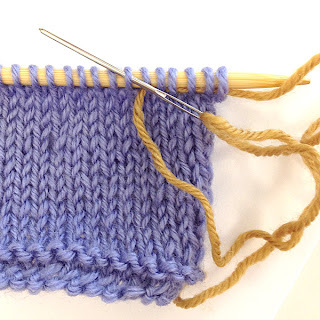 The first thing you have to do once you notice a mistake in your knitting is to place your knitting on a flat surface (a table will do nicely) being careful not to pull, push or agitate in any other manner your stitches. Then count your stitches. If the number of stitches is right (you haven't dropped any of them) look for the place on your knitting that doesn't look right. If the mistake happened in previous or current row you don't need to rip down the whole project. Simply tink back ("tink" means "knit backwards") to the place where you made a mistake. 1. Insert your left needle from front to back into the stitch that is below the first stitch on your right needle. 2. Slip the first stitch off the right needle. Repeat steps 1-3 till you come to the stitch that is before the one where you made a mistake. Then continue knitting. 1. Keeping your work on a flat surface carefully take your needles from your work leaving stitches open. 2. Pull the yarn to undo the stitches. When you get closer to the row that is above the row with mistake pull the yarn carefully to keep your stitches even. 3. Pick up stitches with one of the needles. If you pick up stitches with your right needle, insert the needle into each stitch from back to front. If you pick up stitches with your left needle, insert the needle into each stitch from front to back. Make sure you pick up EVERY open stitch and the number of the stitches you picked up is same as it was when you were knitting that part of your work before. Then continue knitting. If you happen to tink and frog quite often and/or if you are working on a complicated stitch pattern like lace or brioche, make a life line every couple inches of your work. 1. 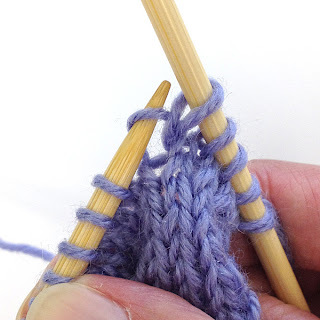 Thread a piece of scrap yarn into a wool needle. The length of the scrap yarn should be about twice the width of your project. 2. 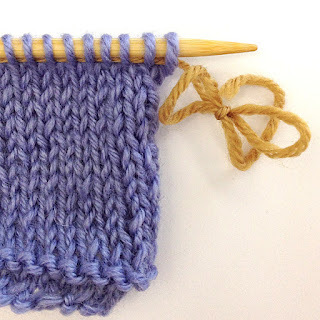 Keeping stitches on your knitting needle snake the wool needle with scrap yarn through every stitch of your project. 3. Make a knot or a bow at each end of the scrap yarn to keep it from slipping from your work. If you make a mistake later on, simply frog your work to the row with life line and easily pick stitches from the life line.